Clapham has an unusual father - a father who forces him to steal. He also has an uncommon friend named Harry, whose friendship meets the ultimate test when Clapham is forced to steal from Harry's family. Now Clapham must confront his father - and his own sin - and come face to face with an amazing past he never knew existed. 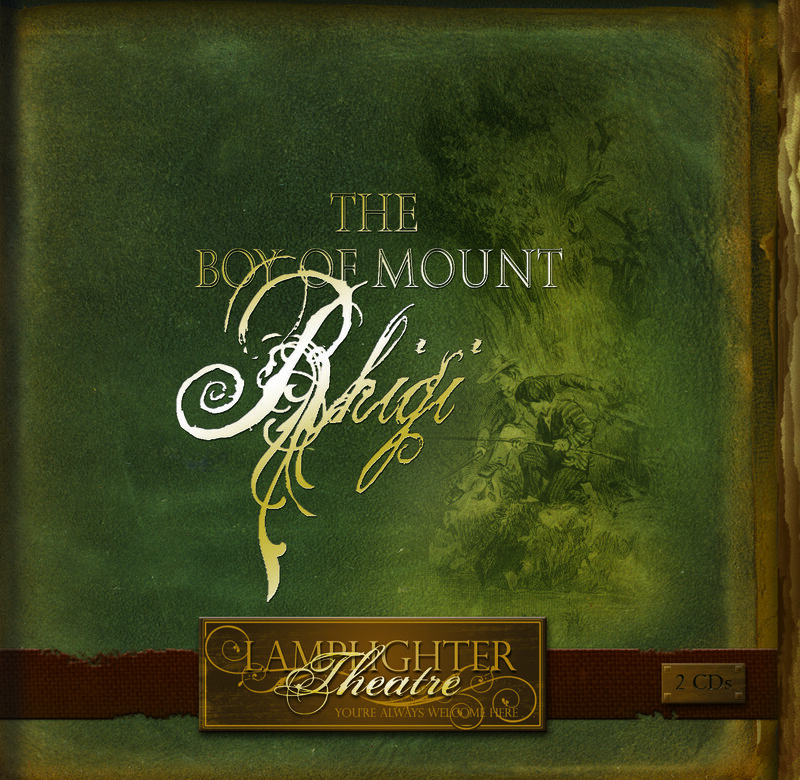 You'll experience never-ending drama in this story of heartbreaking betrayal, a friend's loyalty, and God's ultimate redemption in The Boy of Mount Rhigi. From Anonymous of Bemidji, Minnesota on 1/7/2018 . My 6 year old son loves this story and I love the opportunity to let him listen to character building stories. After he listened to this he started asking me questions like "do bad people pray?" and " what is sin?". Lamplighter stories open the doors to conversations that have eternal value! From Anonymous of Alpine, California on 12/14/2017 . My eight year old son loved this story. From Susanna of Galena, Missouri on 12/6/2017 . VERY good story, very well done! From Barb Ocker of Greencastle, Pennsylvania on 10/17/2017 . CD came quickly! I am saving for Christmas gift. From Ramona Chiorean of Cooper City, Florida on 10/6/2017 . Another wonderful audio drama! Our boys listened with much interest! So many lessons to learn from the characters! And the truth that God can change anybody is well reflected from the story. Keep up the good work Lamplighter! We highly recommend this drama.